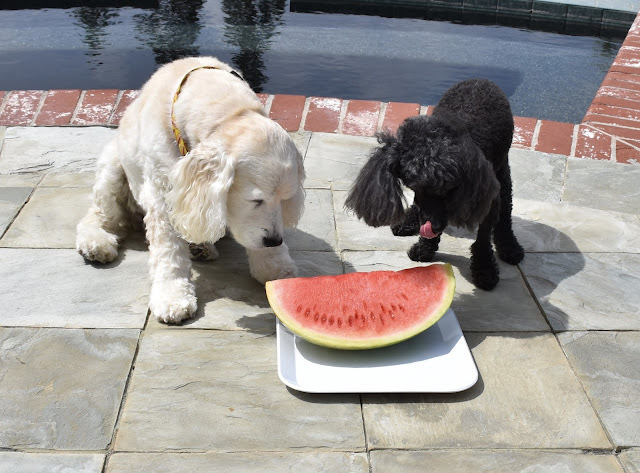 Since today is Watermelon Day I told Annie it is time to eat the watermelon. She reminded me that she does not eat green food. 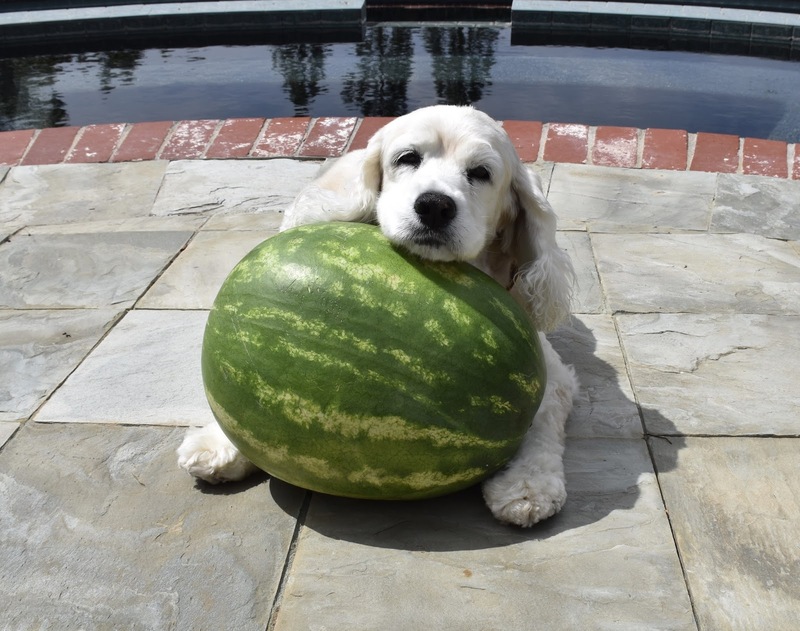 But she barked that she would celebrate by using the watermelon as a pillow. I told her that she needs to get off the watermelon so we can eat it. I showed her that it wasn't green it was a actually a pretty red color and yummy. She refused to eat her slice. She barked that it was weird. So I just gave up on her and ate mine . So yum! 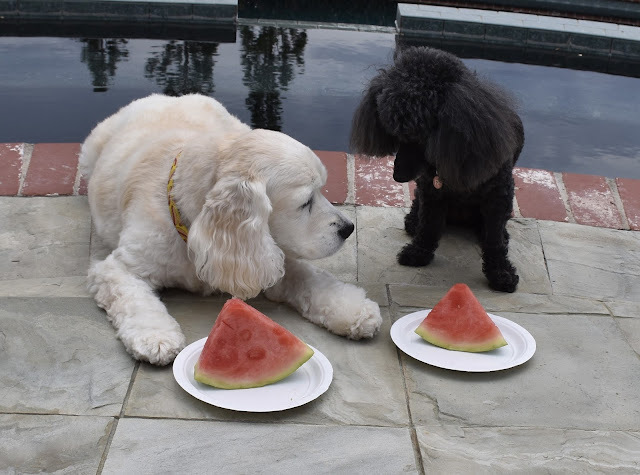 I bet if that Watermelon was in the shape of a hot dog Annie would be all over it! 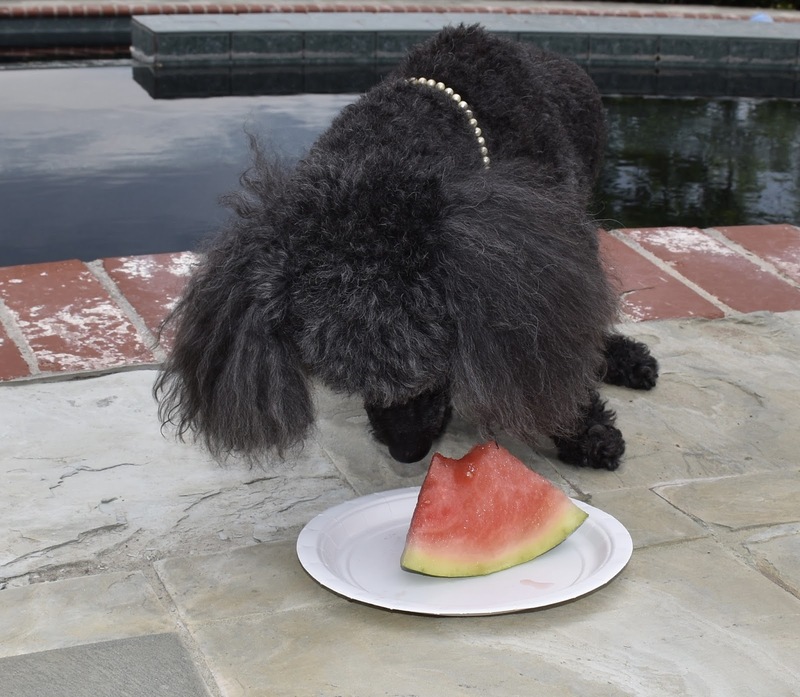 But I do have to say that picture of her and the Watermelon is a classic keeper, it may even deserve to be framed. Happy #FuzzFriday tomorrow !! 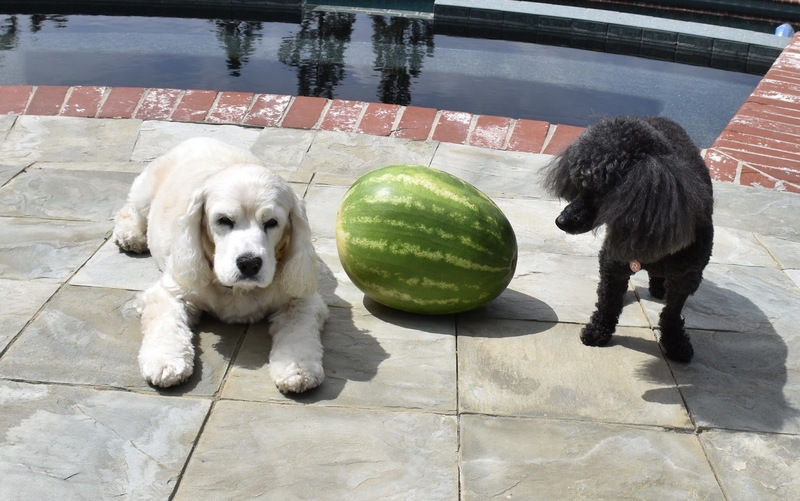 Every time we see a Golden we think of Fuzz and Bear. You are right ! And we agree it is up there with our fave Annie pics! Happy #FuzzFriday to all of you!!! RosyPoodleKisses! Yes! Seedless ! Mommy doesnt like the seeds either! RosyPoodleKisses!